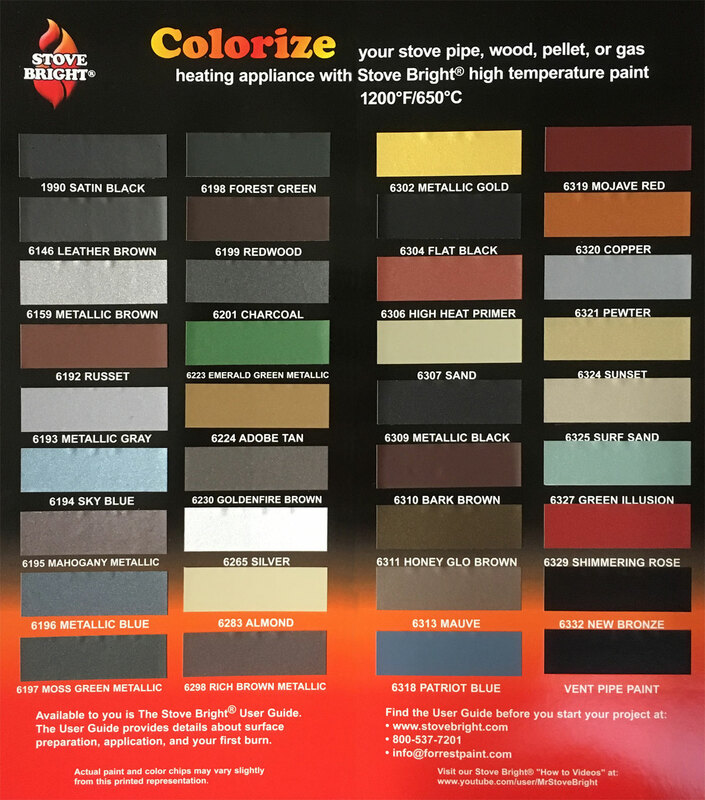 A high quality fast drying, high temperature paint for use on wood, multi-fuel and gas stoves, furnaces, traditional cast iron cookers, cast iron chimineas and many other steel and cast iron products with in-service temperatures to 650 degrees C.
While we don’t stock the full range of colours we always have Metallic Black available and do tend to have the colours most commonly requested by our customers for touching up their stove. Available in 8 colours as illustrated below. 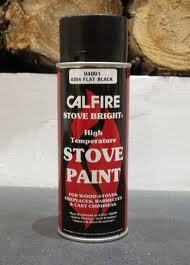 This high temperature stove paint is easy to apply, fast drying and can withstand temperatures of up to 600°c. Morsø’s Sensotherm spray paint is available in dark grey (black) which is the colour the stoves are originally sprayed. Great for touch-ups.